The need for replications of empirical results has been increasingly emphasized as a fundamental principal of good scientific practice. In this context for example, recently, the Deutsche Forschungsgemeinschaft (DFG, German Research Foundation) notes in its Statement on the Replicability of Research Results that the reproducibility of findings, or replication, is but one of many different methods to assure the quality of results in the empirical quantitative sciences . Still, replication studies are rarely published in economic journals. To counter the ‘replication crisis’ which hits economic research is the aim of the new scientific journal “International Journal for Re-Views in Empirical Economics (IREE)”. IREE is funded by the DFG and is a joined project of Leuphana University of Lüneburg (Joachim Wagner), the German Institute for Economic Research (DIW Berlin) (Gert G. Wagner), the Institute of Labor Economics (Hilmar Schneider), and the ZBW. The nobel laureate Sir Angus Deaton (Princeton University), Jeffrey M. Wooldridge (Michigan State University), and Richard A. Easterlin (University of Southern California) are members of the advisory board of IREE. The International Journal for Re-Views in Empirical Economics (IREE) is the first journal dedicated to the publication of replication studies based on economic micro-data. Furthermore, IREE publishes synthesizing reviews, micro-data sets and descriptions thereof, as well as articles dealing with replication methods and the development of standards for replications. Therefore, any kind of publication in IREE is made citable in due form. We assign a DOI to each article, data set, and programming and additionally restore data sets in a permanent repository, the ZBW Journal Data Archive. IREE provides the platform to authors to be given credit for serious empirical research in economics. The publication of replication studies so far often depends on their result. 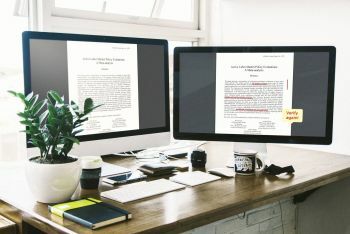 If any, replication studies usually need to reject the original study to get published whereas a scientific impact is denied for replications confirming original findings. This induces a severe publication bias and thus again undermines the reliability of economic research. In addition, submission or publication fees to authors and subscription fees to users severely constrain efficient and good science in economics. IREE encourages a transparent and open discourse in empirical economics that elicits high quality research. Therefore, IREE publishes research independent of the result of the study. The selection of published articles is based on technical and formal criteria but not with regards to the qualitative and quantitative results. Furthermore, IREE is an open access e-journal and all kind of articles are published immediately after passing a fast peer-review process. There are neither publication nor submission fees for the authors. The official launch of IREE is announced for September 2017. This is a cross-post from ZBW Mediatalk.